Coworking has been around for about a decade now, but it’s only recent that it came into global limelight.Now that it’s gone all-out pop among both freelancers and startups, collaborative spaces are springing up in major world cities at the speed of light. Judging by the popularity hike, coworking will soon become a mainstream. Brands looking to profit on the margin between office rentals and monthly membership fees, will need to invest a little more effort and money in the collaborative workplace design if they want to stay competitive and get an upper hand over other names in the industry. But what features should a cowork office have, and how can young coworking brands avoid common design pitfalls that can cost thousands in profits over the long haul? There are multiple elements that can help a coworking space climb to the top industry tiers. Here are just a few of the most important aspects to bear in mind when planning the workplace look. 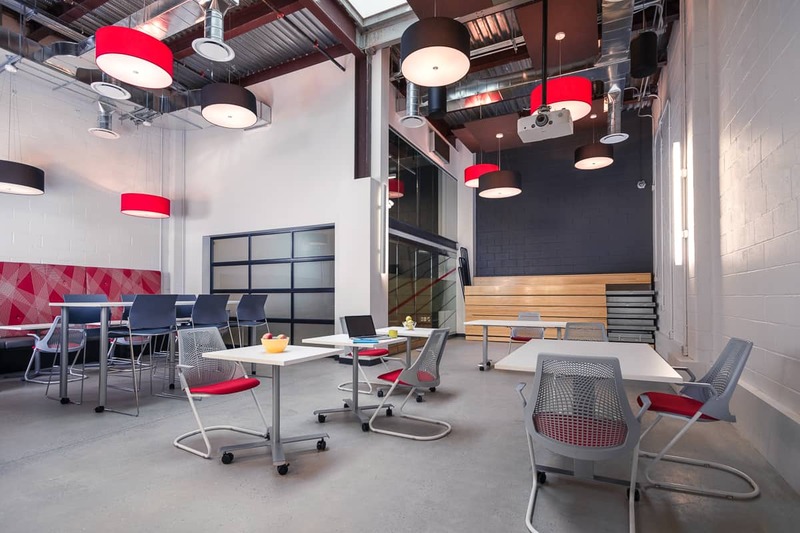 The open-floor layout is currently a hot office design trend, and it owes its popularity to several reasons including greater spatial flexibility, better distribution of light, and higher collaborative potential. For this reason, the open plan system is a better option for a coworking space than a layout centered on isolated office units and standard cubicles. 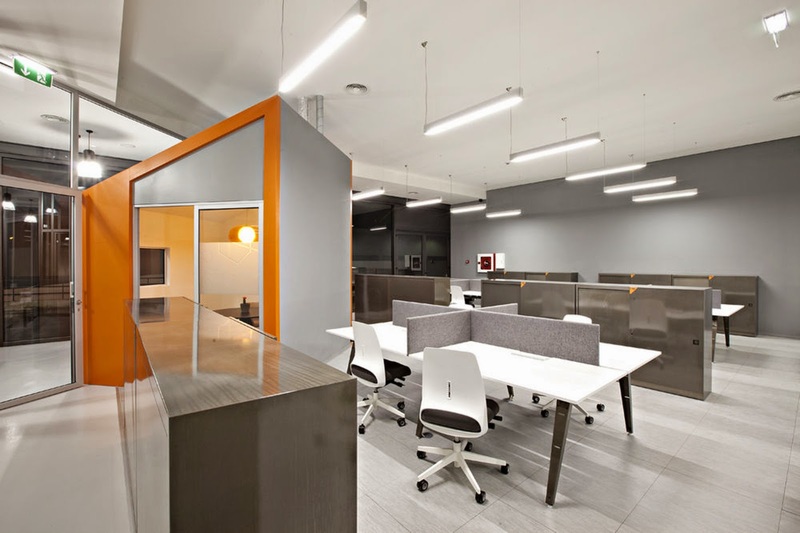 Ergonomic furniture has become a standard in both coworking environments and classic offices. It promotes comfort, productivity, and well-being even with overtime hours in the mix. Sit-to-stand desks and adjustable-height chairs with memory foam padding, are a must-have for a coworking brand looking to hack peak profits fast. The open-floor layout will stay on-trend in the years to come, but collaborative offices that want to get an edge over the competition, will still need space dedicated to private work. Along with ‘Us’ space, a coworking space should also feature private office suites with first-rate desks and seating, as well as reception area, on-demand boardrooms, call rooms, and break rooms. Freelancers and solopreneurs value office aesthetics more than previous generations, and want to feel at ease and at home during work hours. 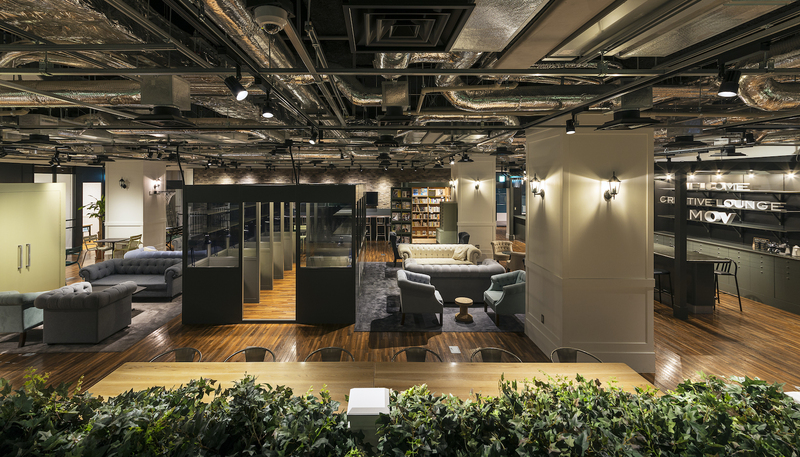 A coworking workplace eager to attract scores of members, should feature suave furnishings (preferably crafted from natural materials), indoor plants, inspiring modern graphics such as Banksy canvas prints and motivational art. No success-minded entrepreneur would show up twice in a collaborative office with fly-by-night Wi-Fi, third-rate printers, and few power outlets. The shared office has to have business-grade internet and state-of-the-art tech if it wants to sway potential members into booking a seat for longer than a few days. Also, the extra tech should be available free of charge, so it may be wise to calculate the cost of using printers, fax machines, and other electronics into the membership fee. The list of collaborative office design No-nos is rather lengthy, but there are three major points that will completely shatter your coworking business success even before it hatches. Size matters in the world of coworking; no one wants to feel like a sardine in a box as they tend to daily tasks. For this reason, a coworking brand should strive to find decently-sized commercial property to turn into a collaborative workplace. Ideally, the shared office should be as spacious as the budget allows. Office design forecast shows that the size of North American workplaces will average 151 square feet per person by 2017. 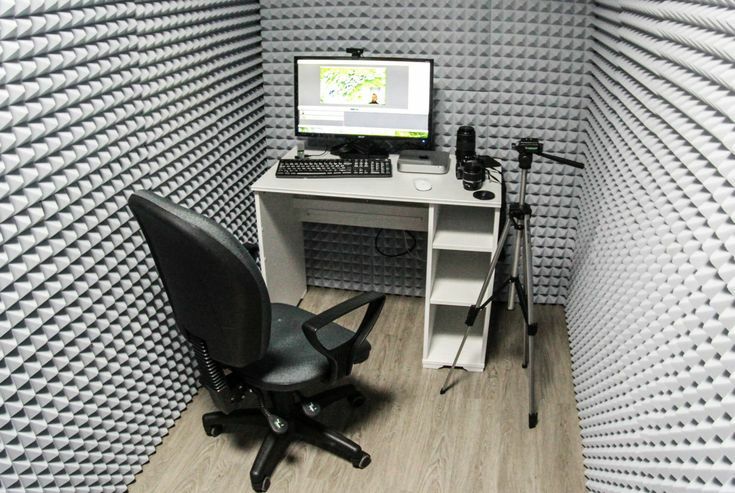 In open-floor offices, sound travels farther and faster than in conventional workplaces, which is why a coworking space should feature adequate soundproofing to keep noise pollution to the minimum. To reduce impact of office noise on user comfort, use noise-cancelling door padding, sound-absorbing panels, noise-friendly flooring and furnishings, and white noise audio systems. Poor lighting is a common problem in both conventional and shared offices, so make sure your coworking space offers optimal light conditions to its members. Overhead pendants and ceiling fixtures are a norm in many collaborative offices, but task lighting is no less critical, so make sure you add it to the workplace luminosity mix. Also, when choosing property to convert into shared office, go for space that has a lot of windows to make most of the natural lighting during the day. Designing a top-class coworking office takes time, capital, and care – but with a little extra effort and planning based on the guidelines listed above, your brand will soon begin to reap the profits it deserves. Thanks to Chloe Taylor from SmoothDecorator.com, you now have a better understanding of what to have in a coworking space and what not to have. Check out the different cubicles and workstations Arnold’s has, to help complete your cowork space!